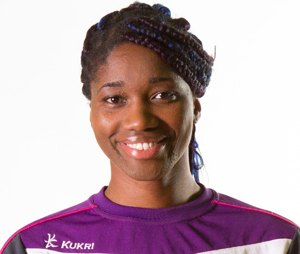 Loughborough Lightning and England star defender Ama Agbeze has said her team mate for club and country Sasha Corbin will come back stronger than ever. Corbin injured her anterior cruciate ligament while playing for Lightning in their defeat to Hertfordshire Mavericks earlier this month. Agbeze wins Sky Sportswoman of the Month! Loughborough Lightning and England star Ama Agbeze managed to beat her competition to be crowned Sky Sportswoman of the Month for January! Agbeze was up against the likes of England Rugby’s Emma Croker and British Tennis superstar Johanna Konta – who made the semi-finals of a Grand Slam for the first time ever! But the amazing defender’s incredible performances for England against Australia in January, where she won the Roses ‘Vitality Player of the Series’ award, plus her ‘Vitality Player of the Match’ award in Lightning’s win over Jets on Super Saturday ensured she took the title with an incredible 71 percent of the vote! England mid-courter Sasha Corbin has been ruled out for the remainder of the 2016 Vitality Netball Superleague season after suffering an ACL injury during Loughborough Lightning’s Round 2 clash with Hertfordshire Mavericks. The popular Corbin tumbled in the third quarter, during the match which pitted her new side against her former Superleague team. After several minutes of treatment, she was helped off court to generous applause. It had been a great start to the year for the elder Corbin sister, making her 56th England appearance and impressing during the early stages of the domestic season. She will now enter a period of rehabilitation and will be supported by the England Netball medical team throughout this process. “I’m extremely gutted the season had to end for me this way. I will still be supporting Loughborough Lightning heavily from the sidelines as their biggest fan. “I will draw on inspiration having seen many of the greatest netballers in the world come back from this type of injury. “I just want to thank everyone that has reached out to me personally or via social media. I feel truly cared for by our netball community. I will ride this injury rollercoaster and I promise I’ll be back to entertain you all soon. Everybody at England Netball and everyone involved in the Vitality Netball Superleague would like to extend their best regards to Sasha and wish her the speediest of recoveries. 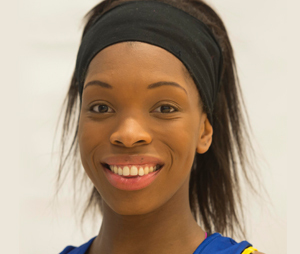 Team Bath’s captain and England defender Eboni Beckford-Chambers invited Sky Sports to join her to see what an athlete’s day involves. Beckford-Chambers fits in working for a law firm in Bath alongside her training and playing commitments with club and country. Sky Sports followed her movements for the day to give us all an insight into what it takes to balance such an intense training schedule with a professional career.